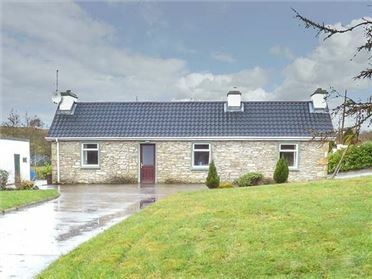 The Cottage is situated in Ross, near Castlebar in County Mayo. 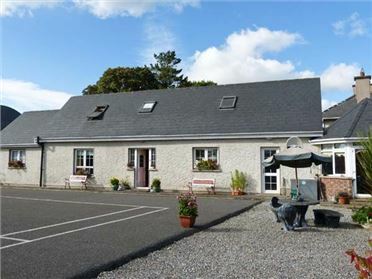 The cottage sleeps four people and has one double bedroom, one mezzanine twin bedroom, a shower room and an open plan living area consisting of a fitted kitchen with dining area and a sitting area with an open fire. 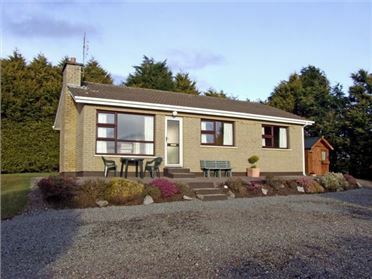 Outside the cottage benefits from off road parking for three cars and a front lawned garden with furniture and a BBQ and a sun-trap patio to the side and rear of the property. 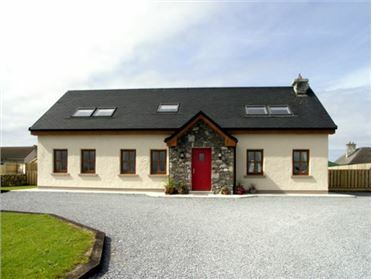 With mountain walks, traditional pubs and an archaeological site nearby, The Cottage is an ideal base for your holiday to Ireland. Mostly ground floor. Two bedrooms: 1 x double, 1 x mezzanine twin. Shower room with shower, basin and WC. Open plan living area with fitted kitchen, dining area and sitting area with open fire. External utility.